The ad block sits at the same table with brands, publishers, advertisers, and marketers. There is a rumor saying that they want to conquer the digital world in order to make it a better place for the user. But the brands, publishers, and advertisers are not on the same side. So here’s a never-ending story. I still believe that a properly targeted banner ad is still effective. Also, I think those irrelevant banner ads that don’t resonate with the consumer are the ones that will have a big problem. Now think about this: there are 1.700 banner ads that are projected on a user every month, but because of banner blindness, only 50% of them get noticed. So where is the problem? Why are these banner ads not doing their job? Before we start blaming banner ads, let’s see the glass half full first. Long ago, eMarketer said that retailers will spend more than $17.39 Billion on paid ads by 2018. In 2015, online digital advertising and via mobile crossed the $40 billion mark for the first time ever, according to the Internet Advertising Bureau. So what brands should do to stay away from the ad block situation? Is it about designing the banner ad? Is it about doing social media advertising or display advertising? In this article, I want to share with your some information every marketer and entrepreneur should know about ad block, where to start with display advertising and what to do to increase your results and get the best from your banner ads. But before we got into the practical part, on what to do and how we need to know a little bit of theory. The use of the term “Adblock” comes from the most popular advertisement blocking plugin developed by Michael Gundlach in 2004. Nowadays, the most popular adblocker is called “Ad Block Plus”, which is available for Firefox. This ad block works with the help of a list of ad filters. It is stated that on a website, the request for ad serves X is blocked, while the request for ad server Y is hidden. Think about this: the more accurate the filter list is, the better ad blocking will work. 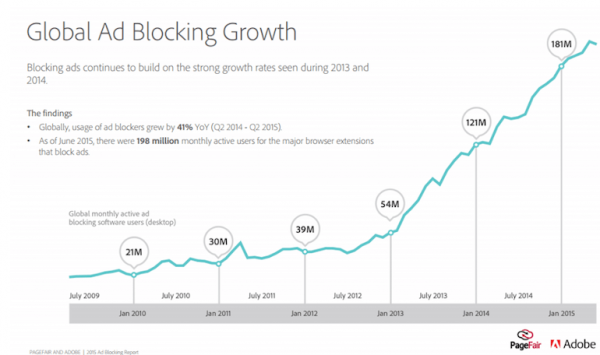 According to PageFair, there were 144 million ad block users in 2014. And the most popular software says that the average number of downloads was 2.3 million a week in 2015. Because many brands, publishers, advertisers, and marketers took advantage of display ads, banner ads and showing ads to the user, this led to a period of time when people got annoyed by ads and felt like their internet surfing experience was not enjoyable anymore. The heart of ad blocking is the list that helps them run through the internet. The guys from PageFair wrote a post where they show you the lines of text that strip out millions of ads every day and threaten the existence of publishers. The ad-blocking situation has caused brands to lose more than $22 billion in advertising revenue. It also increased by 41% across the world, in the past year alone. Here is a great article from NY Times about these facts. Now that we know what an ad block is, how big it is and how it influences brands, marketers and advertisers, let’s get to the ones that use this software. The ones that everybody fights for – internet users. Who uses ad block and why. Users vs Marketers. What publishers have to say? Who are the people that use this software? Why do they use it? What can marketers do to stop them from using it and make their web experience more valuable? These are the question that many marketers have in their mind when they think about ad blocks, their brand, the user and the web experience. 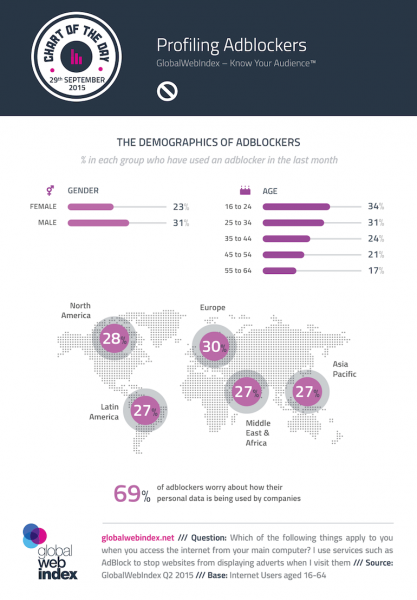 There are almost 200 million users worldwide who use ad blocking software. In the USA there are 45 million users and in Europe there are 77 million people use versions of this software. 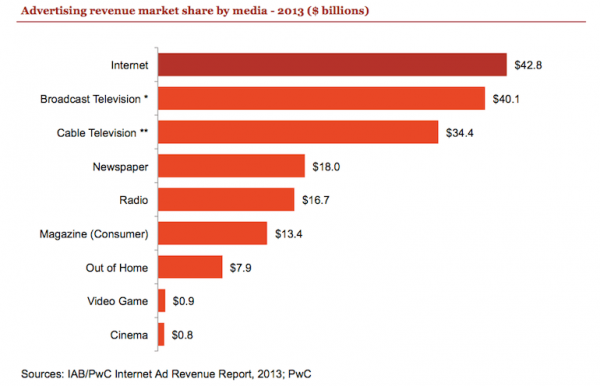 And this is a quite big number if we look at how much revenue has been lost in online advertising. The Global Web Index company created a user profile of who is using this kind of software. …a trend being led by younger age groups and men. And this comes from a guy that works hard every day to offer the user a great web experience, hiqh quality content and great information on their website. But you can look around and ask people if they use ad block or not. The funny thing is that sometimes I hear that even marketers and advertisers use ad blocks. What are the 2 biggest reasons people install this software trying to stay away from being advertised to by brands? They can be disruptive and annoying. Being disruptive when people want to have a clean experience on the internet, while they chat with their friends, while they look at their vacation photos or read the newspaper, is making them angry. It’s just like being hungry and while you finally get to eat, a stranger comes out of nowhere, sits at your table and starts rambling about his family, life, job and sometimes he even takes the spoon from your hand. Isn’t that disruptive and intrusive? Yes, it is. If you’re a publisher, you want the user to have a pleasant experience on your website; read and watch your content, engage with the community, share your content. But if you interrupt the user’s surfing experience with an ad, just because they are on your platform, the result of that is a bad experience. You need to understand the user’s behavior on your website. So you can provide them the information they want, in a suitable context. On the other hand, as a publisher, your revenue comes from advertisement. and users blocking banner ads don’t serve this interest. This is the reason for some publisher to ask users to disable adblocker when browsing their site. The most famous example of a publisher asking for that was Forbes. And now that we know the theory, let’s get to practice! Can there be a relation between banner ads and Ad Block? There are a few reasons people don’t trust banner ads: because they are intrusive and disrupt their experience with the content on the internet and also because they are poorly designed. Yes, this is true. 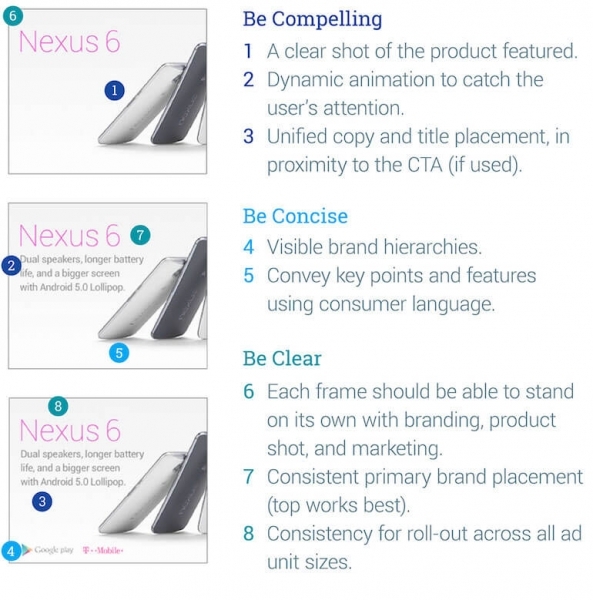 You will never click on an ugly banner ad with low-quality images and unreadable CTA. Or will you? I bet you won’t. 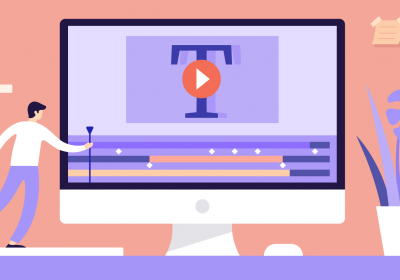 This is why, at Bannersnack, we work every day to provide our users with the best high-quality elements they can use in their banner ads: preset colors, thousands of adstock photos, top Google fonts and cliparts. 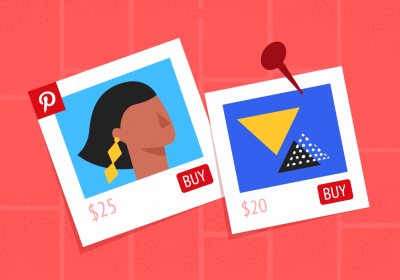 And we also have an article on how to build trust in your display ads. And most of all, we show you how to design great banner ads by giving you tutorials and by writing about other great examples that could inspire you. Julian Bakery saw a 35% increase in conversions and a 330% increase in impressions on the Google Display Network. How? They used well-designed banner ads and also used placement targeting to run ads on specific, relevant websites. They also used retargeting to focus on areas with in-store sales. So when you design a banner ad, think about the 3 Cs principle that can make your banner ad attract more clients and get the results you want: Compelling, Concise and Clear. Time is another element. Think about the last time you read an article on your favorite blog or website and after 10 seconds, you saw a pop-up with a discount coupon. How was that experience for you? Maybe you clicked the [X] button and continued reading the article, but for those few milliseconds, you got slightly annoyed, didn’t you? This is one of the main reasons people use ad block. Not only don’t they trust ads because of how they look, but also because they pop-up on their screen interrupting their experience on the website. According to Infolinks, the best time to show an ad is during the day because that’s when the user interacts more on the web. The company studied in 2013 a sample of one trillion impressions from its publisher network, which includes more than 100,000 websites. When ads become good content, they’re contributing to — not detracting from — a robust inbound marketing strategy. So think about your ads as a contribution project to one of your content marketing strategies (whether you are a brand or a publisher). Give something to your reader that is related to something they look for on your website. Show the ad at the right time. Contribute with your ad into your webpage. Make it part of the story. Do you know how people look over the content on your website? Have you ever heard about the F-pattern? Nielsen group created a study where they found that people browse in an F-shaped pattern that favors the left side of the screen. And this leads to the banner blindness situation that many publishers and brands have to deal with. Another reason why you need to understand your user behavior on the internet. Not only to figure out what banners they like and when is the right time to display a banner ad but also where is the best place to show your banner ads. Some specialists might say those banner ads inside the content are not as intrusive as the ones placed on the right side. Well, I don’t believe this. Because a lot of users have a general pattern behavior and they want to get familiar with a new website they look at for the first time. There are 2 major factors that can increase your ad viewability: Page positioning and Ad size. The position that will get the most attention is right above the page fold, not at the top of the page. And the sizes that get the most attention are the vertical units (because they stay on screen longer as users move around the page). So, my recommendation is to try your own thing, test it, experiment with it, see the results and then optimize the web experience for your users. Now back to you: if you use ad block, why do you use it? Thank you for explaining how ad blocks work and what to do about it.